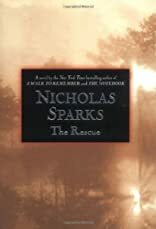 The Rescue was written by Nicholas Sparks. The Rescue was published by Warner Books. About Nicholas Sparks (Author) : Nicholas Sparks is a published author and a narrator. Some of the published credits of Nicholas Sparks include The Rescue, A Walk to Remember.